Soy lecithin consists of three types of phospholipids; phosphatidylcholine (PC), phosphatidylethanolamine (PE) and phosphotidylinositol (PI). It is extracted from soybean oil and is generally used as a natural emulsifier or stabilizer in various food applications. Lecithin provides an excellent source of choline, which is essential to every living cell in the body and is one of the main components of cell membranes. Not only is dietary choline important for the synthesis of the phospholipids in cell membranes, it is also necessary for methyl metabolism, cholinergic neurotransmission, transmembrane signaling, and lipid-cholesterol transport and metabolism2. Without choline, the cell membranes would harden, prohibiting important nutrients from entering and leaving the cell. Scientists believe lecithin and choline may aid in memory and cognitive function, cardiovascular health, liver function, reproduction and fetal development and physical and athletic performance. Soy’s healthy image extends beyond soyfoods and carries over to byproducts of the bean itself, such as soybean oil and lecithin. The discovery of specific health benefits continues, making soy a welcome sight on ingredient labels. Not only does soy present a potential marketing advantage, but the abundant supply of soybeans guarantees that ingredients such as lecithin are readily available and cost effective. 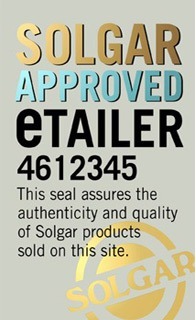 Solgar supplies several different soy lecithin supplement products such as Solgar Lecithin 1200mg Softgels 100 Capsules and Solgar Phosphatidyl-Choline 100 Softgels Capsules.